Thanks for taking the time to read this! Let me know what you think - the good, the bad, the ugly - in the comments below. I'm an entrepreneur and marketing consultant (more about me on the 'New? Start Here' page) in Eugene, OR. You run into a problem with your Shopify store so you Google for an answer. You run into an article that gives you an answer to your question. A few days later, you’re searching again, but this time you find a podcast interview talking about the problem you’re experiencing. Would you believe it? It’s the same person from the article! When you’re developing your “Two Pounds of Personality” for your business, you’re creating online and offline artifacts that capture your personality and let people — potential customers — find them. What websites do they comment on? What Social Media do they follow? The easiest way to reach your customers is to go where they already are. So as you assemble your “Two Pounds of Marketing,” focus on going to where your customers already are. That way, as you’re building up the proof that you are the best option in the market, you’re also marketing your business. Do you want an unstoppable value proposition for your store? Something that none of your competitors (no matter how hard they try, how long they’ve been in the industry, or how much money they spend) can compete with? Something that attracts customers and converts customers into loyal, raving fans? Why Become A “Shopify Niche Celebrity”? When you’re a Shopify Niche Celebrity you’ve built up an amazing amount of proof (2lbs, in fact) that shows that you, your store, and your products are trusted, respected, and valued by your customers. 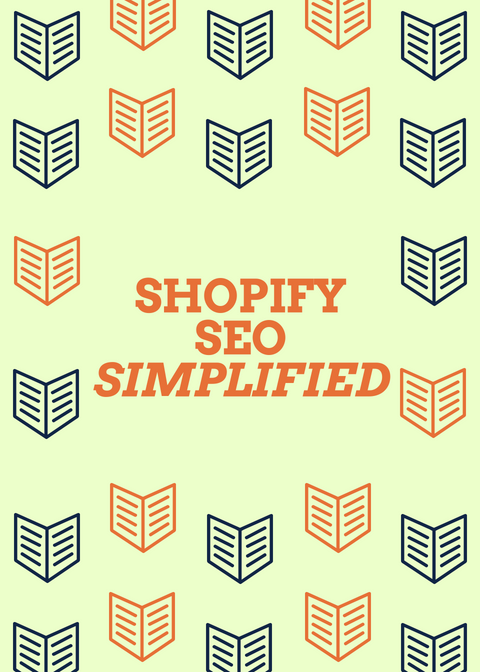 Shopify — You have an Ecommerce store and you use Shopify. Niche — You have a specific target market picked out. You’re focusing on a small, viable subset of that target market as your niche. Celebrity — You’re everywhere. Customers can’t help but run into you. Testimonials, case studies, product reviews, search results, podcast interviews, guest posts, and more. Your customers can’t help but stumble across your “2Lbs of Personality“. What Does It Take To Become A “Shopify Niche Celebrity”? To be a Shopify Niche Celebrity, you need to be everywhere. Uncountable proof that your products and your store are the best option for customers. How Do You Become A “Shopify Niche Celebrity”? You want to develop uncountable proof that your products and your store are the best option for customers. As you assemble your “2lbs of Personality,” you naturally become a celebrity in your niche. I learned about SEO around 2012. Since then, I know that it has changed; social/sharing is more important, keywords less so. One correction I’d make: social/sharing isn’t that important; keywords (and keyword phrases on a page) are the primary way Google knows what a page is about. The most important factor? High-quality and relevant links from sites in the same general industry. Those are what get you ranking — and most often if you see a competitor outranking you and they aren’t doing social or writing articles or any other best practices, it’s because they’re focused on building relationships that result in high-quality links to their site.